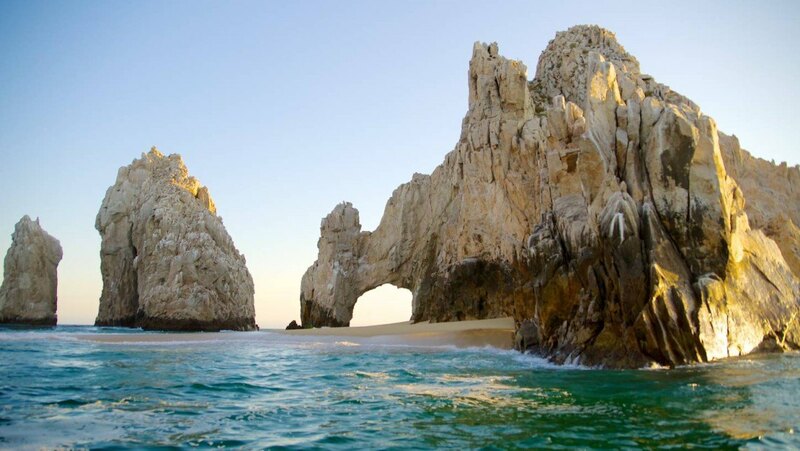 Cabo San Lucas first beckoned to Hollywood’s elite in the 1970s as a luxurious reprieve from the “dregs” of show business. The town’s rather seedy reputation changed as world-class resorts took up residence here, in the neighboring village of San José del Cabo, and along the 18-mile stretch of highway that connects the two (known as “the Corridor”). The construction of an international airport in the 1980s made it easier for travelers from all over to hop a nonstop flight to the “Los Cabos” area. Forty years later, this destination on the southernmost tip of Baja California is still known for its decadence — just take a look at the sprawling golf courses or deluxe villas. But the elitist pretense has dwindled: Days in the spa are just as coveted as evenings at a beachside watering hole. And there’s a good chance that you’ll see celebutantes and college freshmen sunning themselves side by side on the same stretch of sand. Cabo San Lucas has a special affinity for seafood, but restaurants featuring European and North American cuisines also attract travelers. Dining is generally expensive, but you can find cheaper eats and more fascinating cultural experiences if you try some of the hole-in-the-wall taco joints (taquerias) located downtown or along the hotel corridor. Over the years as the area has increased in popularity, Cabo San Lucas and San José del Cabo have started to draw more and more acclaimed chefs (and their innovative menus) to Mexico. Some popular spots to try include Suviche Restaurant by Jean-Georges Vongerichten, located within the One&Only Palmilla Resort, which plates sushi and ceviche; Flora’s Field Kitchen, which offers farm-to-table meals; and Tadd Chapman’s Don Sanchez, which dishes out traditional Mexican fare with innovative flair. If you’re looking for a more casual but still tasty authentic Mexican meal, head to one of Cabo’s smaller hot spots, such as Mi Casa, Burrito Surf Burrito Shop or Hacienda Cocina y Cantina.